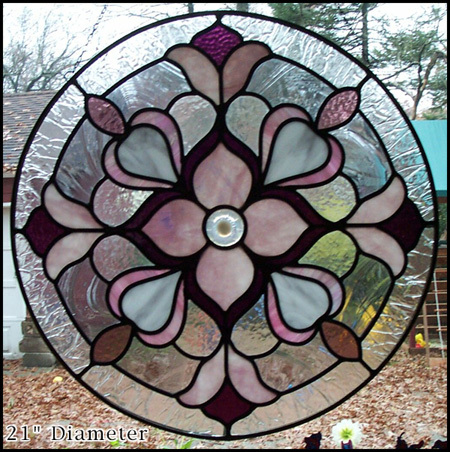 Stained glass panels in stock for immediate shipping. Discount applies to completed and not custom size orders. 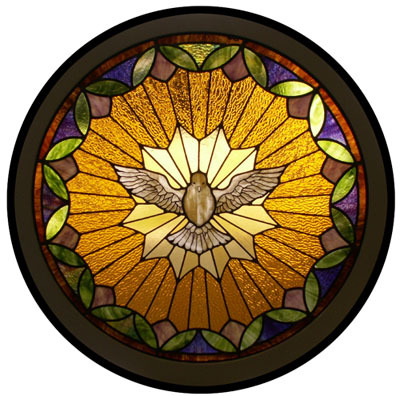 Custom stained glass & contract work available. Hand painted and kiln fired dove set within a star-burst surrounded by 12 geometric tulip highlights. 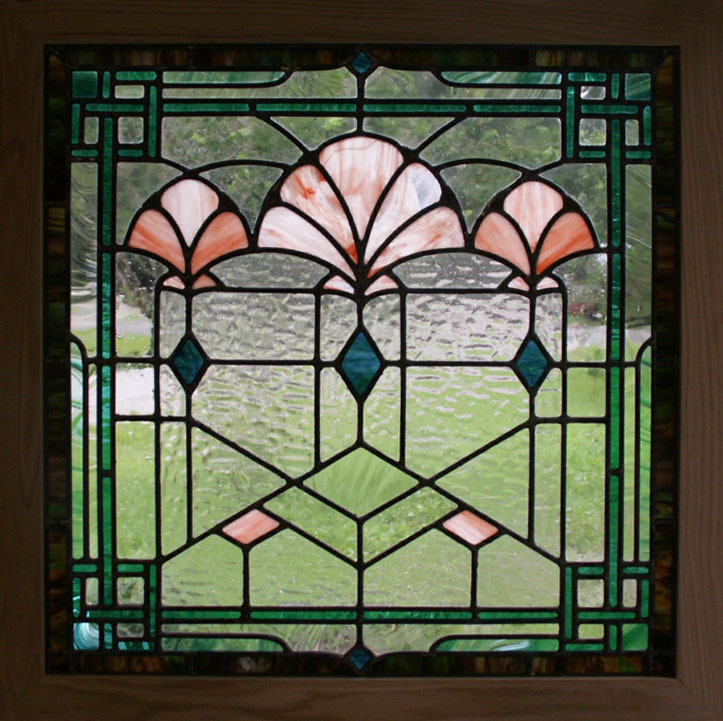 We are taking orders on your preferences of glass on this design for different sizes, colors and shapes. Call design department for your needs. Custom $2,850 Web Special SALE 30% OFF $1,995 + $50 Crating. Will quote separate shipping fees. 35 3/4" x 12 3/4"
Glue chip clear background with blends of golds, plum and blue accents. Includes zinc frame allowing to be hung without a permanent setting. Combinations of clear background and highlighted teal accent border... make this panel unique!